Denis MacShane is the former minister of Europe and author of Brexit, No Exit. Why (in the End) Britain Won’t Leave Europe (IB Tauris). Fabius Maximus Cunctator gave his name to the Fabian Society, set up by George Bernard Shaw at the end of the 19th century to support a gradual, patient shift to socialism in opposition to the revolutionary appeals of the Marxist enthusiasts including the young Lenin and Trotsky in Tsarist Russia. According to Professor Mary Beard of Cambridge University, who is a star of the BBC as she narrates and explains Roman history, Fabius took charge of Rome after Hannibal had badly defeated the Romans at Cannae in the early years of the republic. Cunctator means “delayer” and Theresa May is Britain’s Fabiana Maxima Cunctator as she delays, and delays also avoiding a direct political confrontation with the Brexit Leninists and Trotskyists in her party. Mrs May sits out patiently the rodomontade from her Brexit cabinet ministers and rent-a-quote backbenchers. They can produce rude headlines about her but she just delays any response and even hands out knighthoods and peerages to ardent Brexit diehards. The English will do anything to become Sir Someone or Lord Something and Mrs May understands the vanity of the anti-Europeans better than they do themselves. The panjandrums of Brussels tear out their hair as they wait for any initiative from the UK’s prime minister. She tells fellow prime ministers she meets to “read my speeches” when they ask her what she wants from Brexit. But her trio of Brexit speeches from Lancaster to Mansion House via Florence are a long list of aspirations to delay the moment when she has to make a final decision to go for an all-out rupture with Europe and accept the consequences of major damage to trade, foreign direct investment, UK global standing and, not least, put at risk the 21st century peace in Northern Ireland. 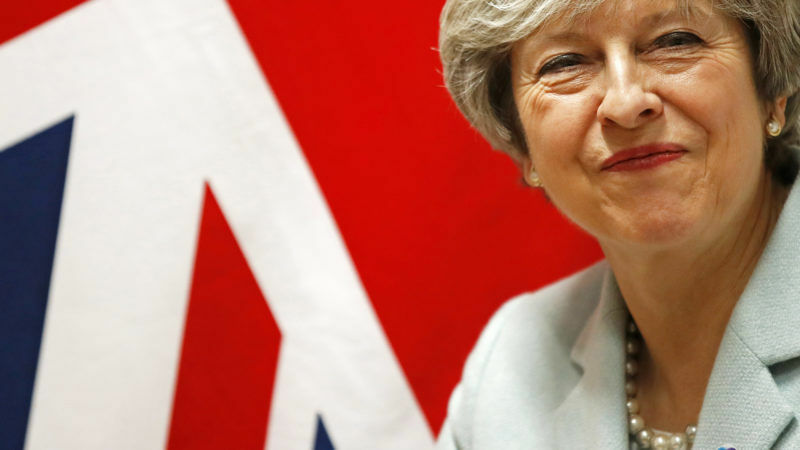 Instead, she could do what she is best at, delaying, asking for a transition period, suggesting a prolongation of the transition period and opening the vista of Brexiternity well into the next decade. Fabius the Delayer would be smiling down at seeing his tactics that saw off the Carthaginian Brexiters being deployed today on the political battlefield in Westminster and Brussels. Mrs May’s Fabian tactics have confused the Labour leadership, which is totally in the grip of anti-Fabian Marxist-trained hardline socialists who also dislike the endless compromises and kicking the can down the road – a tactic beloved by the Eurocrats who all prefer to delay than take a decision. Will Labour leader Jeremy Corbyn embrace Fabianism and refuse to give battle and let Mrs May survive to fight another day? Two years after the referendum and its revolutionary victory for ardent Brexiters, their dreams of easy conquest like those of Hannibal are being defeated by the tactics of delay, delay, delay. “Fabian tactics have confused the Labour leadership, which is totally in the grip of anti-Fabian Marxist-trained hardline socialists” – in yer dreams pal – at most Corbyn & Co are one-nation tories of the Macmillan school, as opposed to the crypto-fascists typified by the war monger B.Liar and has side-kick Jack-Torquemada-Straw. Corbyn he is, wisely, sitting to one side watching the Tory-vermin destroy themselves.